Bristol based SME – Edenvale Young – is the latest company to benefit from the Government’s Gigabit Broadband Voucher Scheme available in the city. If you are a Bristol-based SME – and remember this definition includes charities and other organisations – contact a supplier on this Government scheme and discuss how gigabit broadband can make a difference to your business. Funding is available for a limited period, so make that move today. We’ve been out visiting businesses who have benefitted from the scheme. In many cases, businesses were ‘getting-by’ and not convinced of the need for high speed broadband, however, after getting it installed – helped by an up to £3k grant from the Government scheme – their new connection is helping their business grow, innovate and work in new ways. Niggling frustration with a slow, unreliable connection is a thing of the past and businesses can get on with serving and winning new customers, improving their productivity and innovating new services. 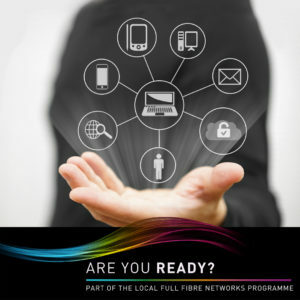 If you’re in business and ‘getting-by’ with a slow connection, contact a supplier today to see the difference gigabit broadband could make to your fortunes…..